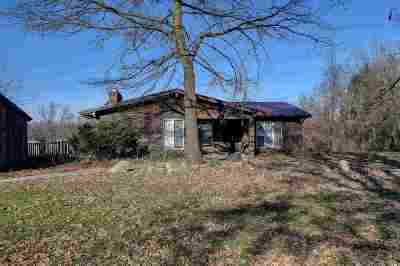 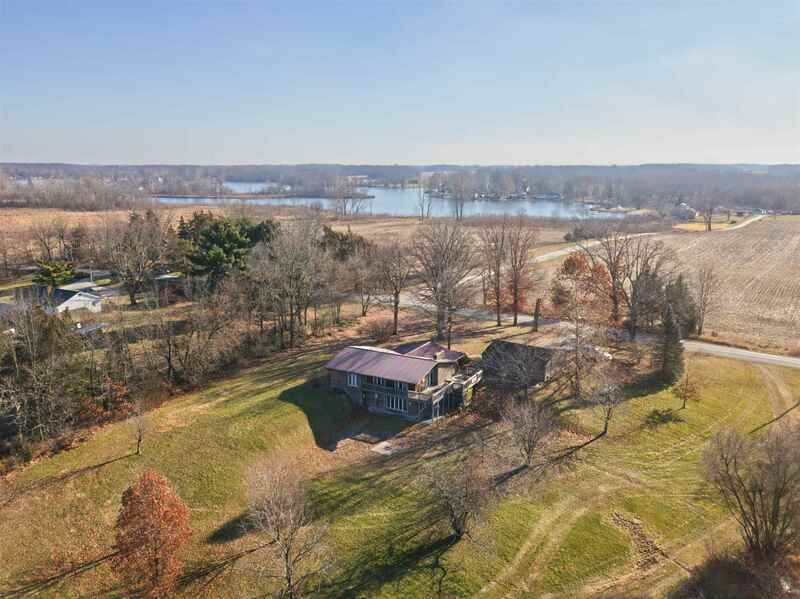 Beautiful country home on approximately 3 acres near Big Lake. 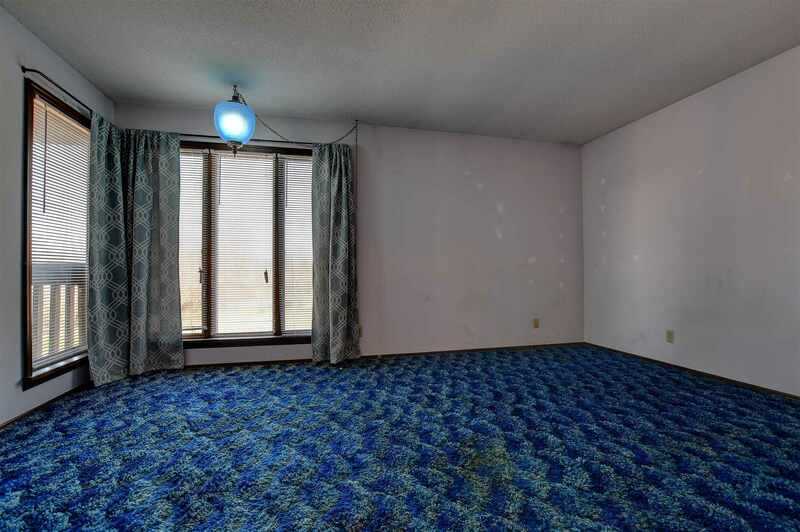 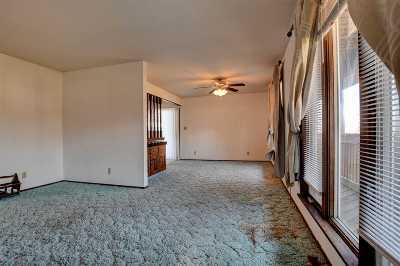 This four bedrooms, two and a half bathroom home has plenty of space to accommodate your family needs. 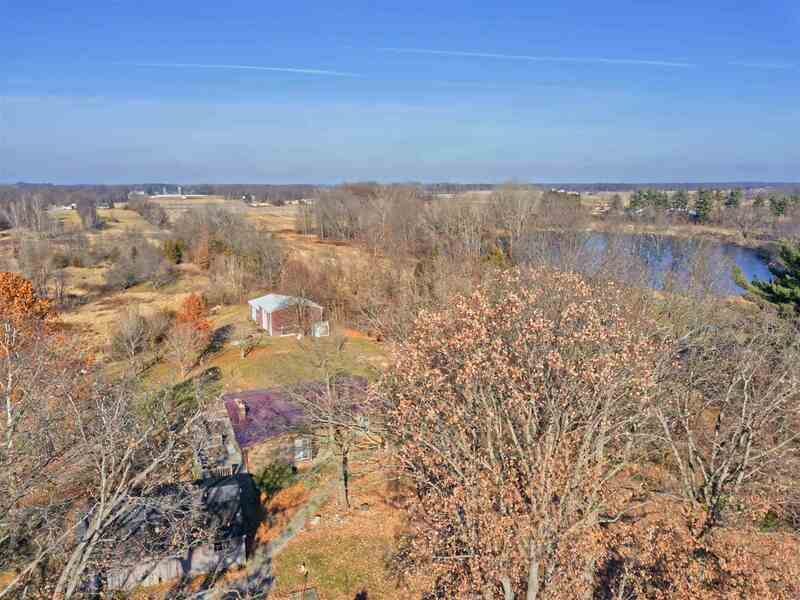 The home features a large deck that wraps around the home displaying stunning views of what this property has to offer, as well as a walkout basement and outdoor patio. 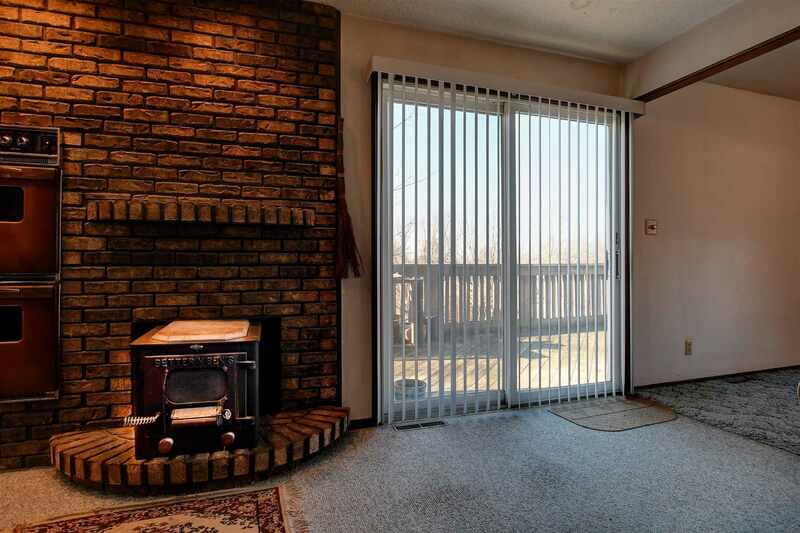 Imagine spending summers grilling and entertaining guests here! 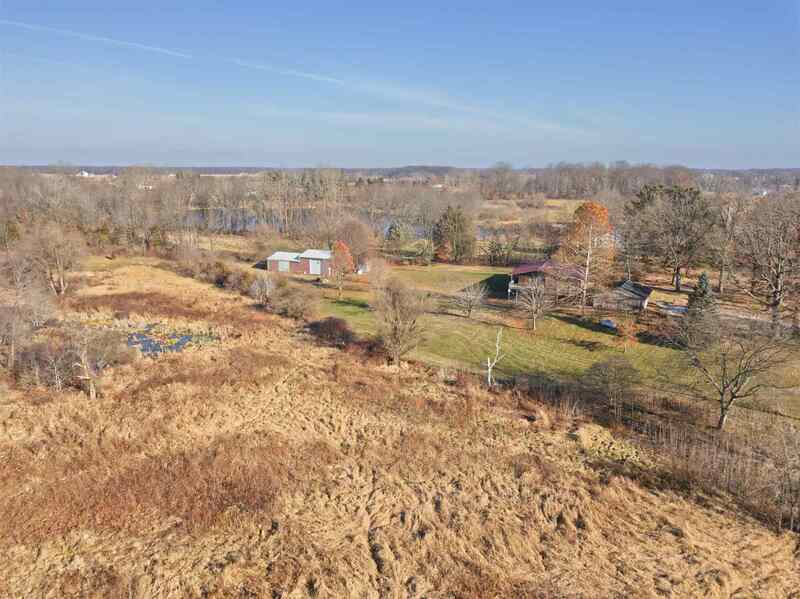 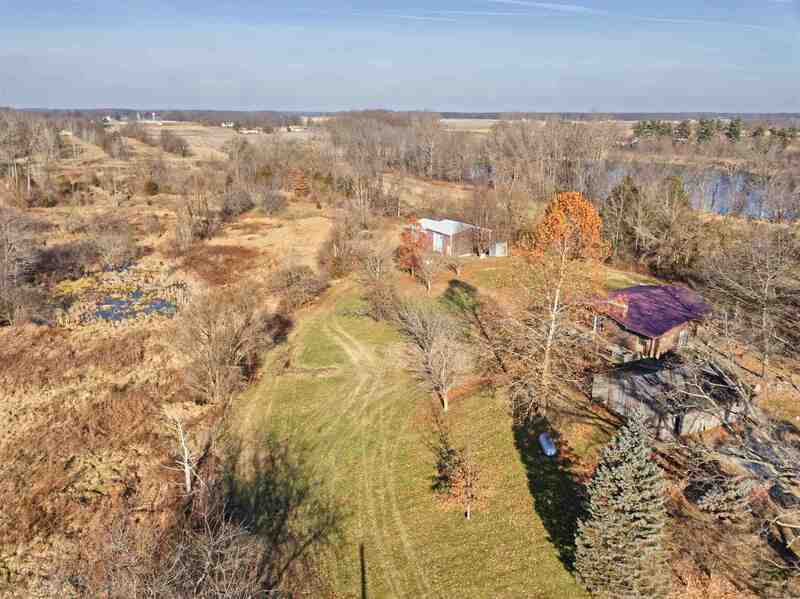 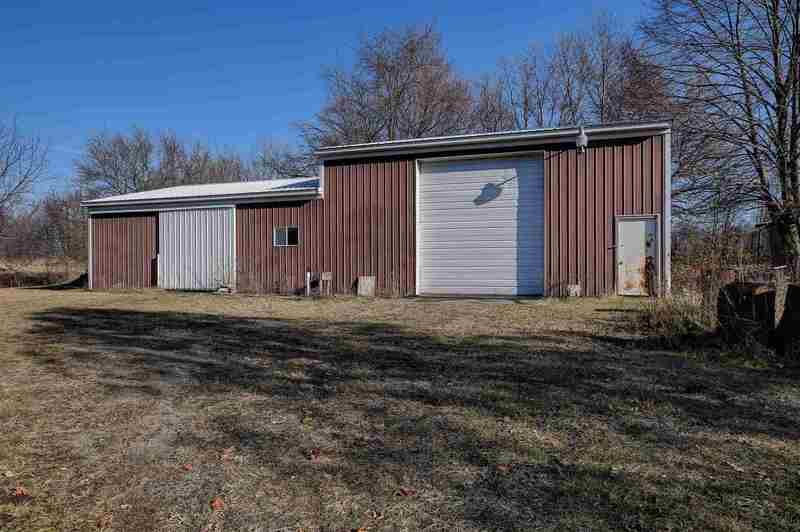 There is a 20 x 35 foot pole barn on the back side of this property, great for additional space or storage, as well as an additional 25 x 20 foot outbuilding. 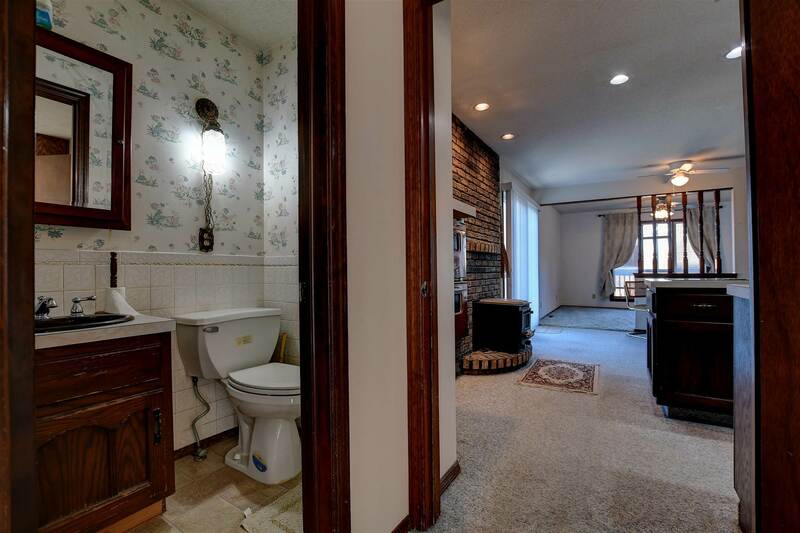 The home is handicap accessible. 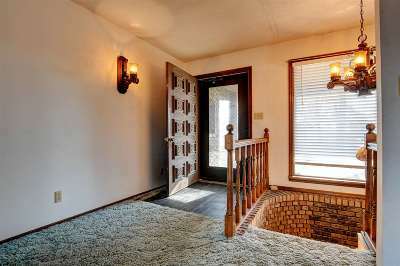 A walking path leads you to the front door, under a covered porch. 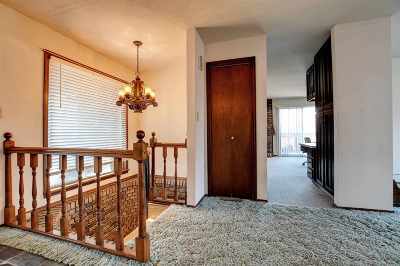 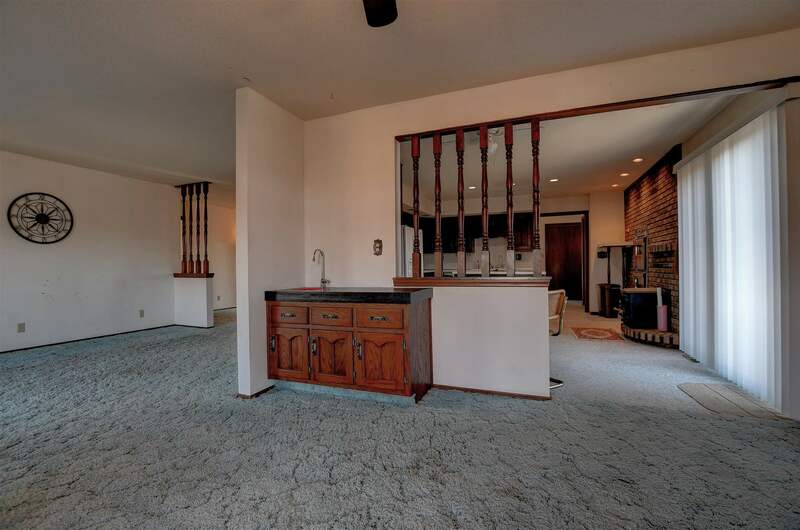 As you walk through the front door a large foyer invites you in. 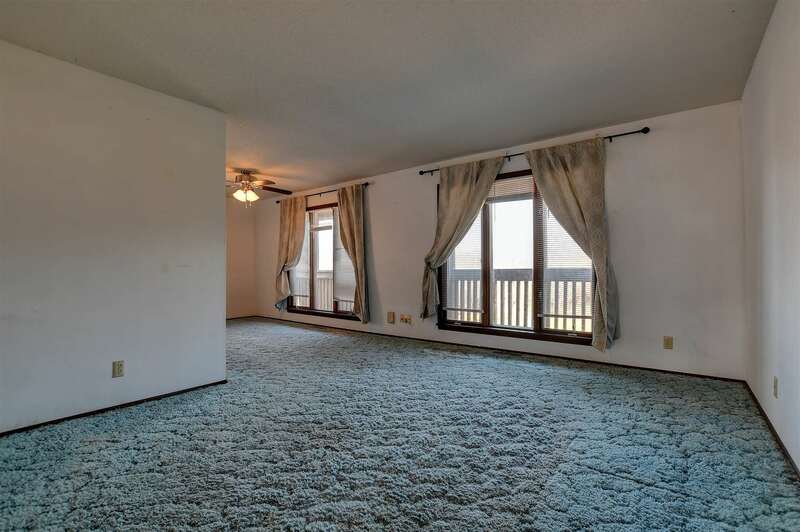 The living room offers large viewing windows, pulling in the beautiful views of the back side of the property. The living room opens up to a dining room where the stunning view of the property continues to come through. 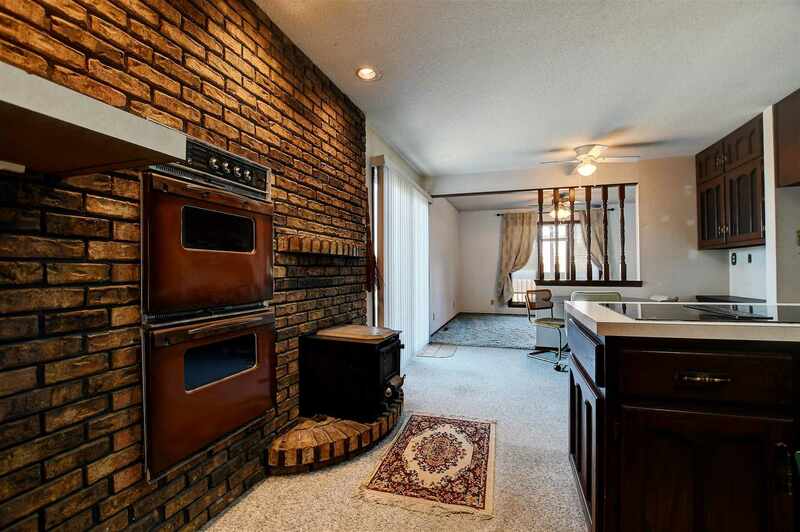 Do you love to cook? 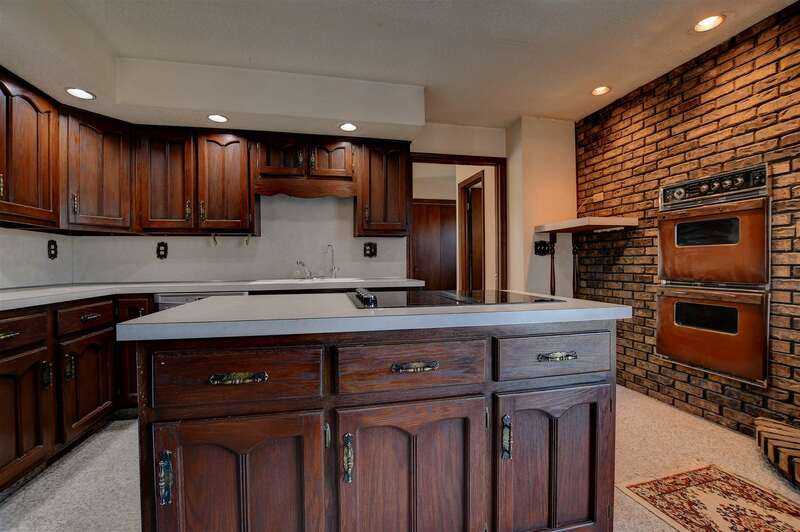 The eat in kitchen has a porcelain sink, island for preparing meals, as well as a double oven! 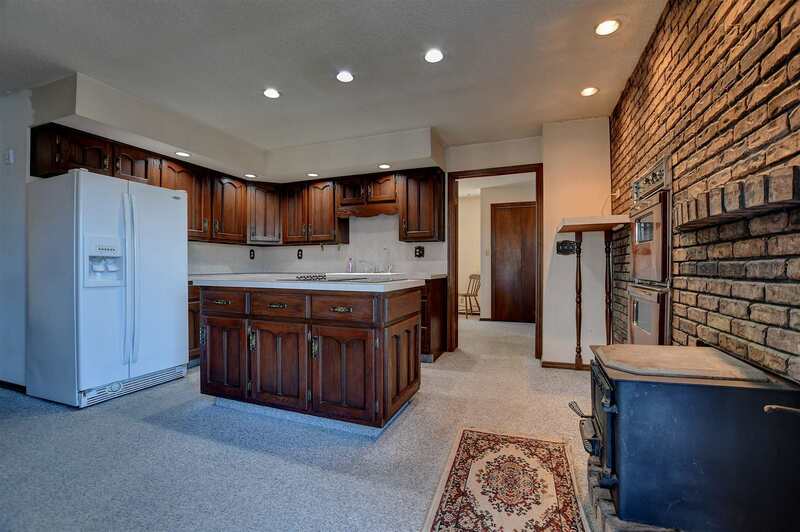 The kitchen offers lots of cabinets and countertop space. 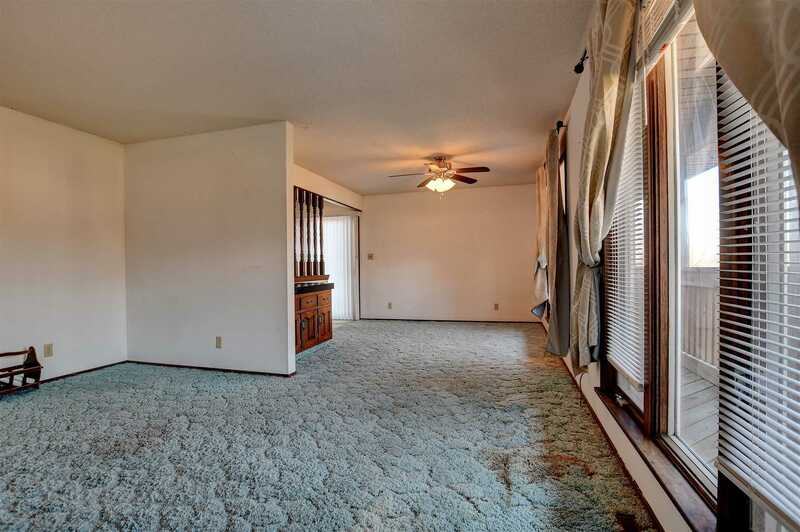 This open area is perfect for get togethers with friends and loved ones. 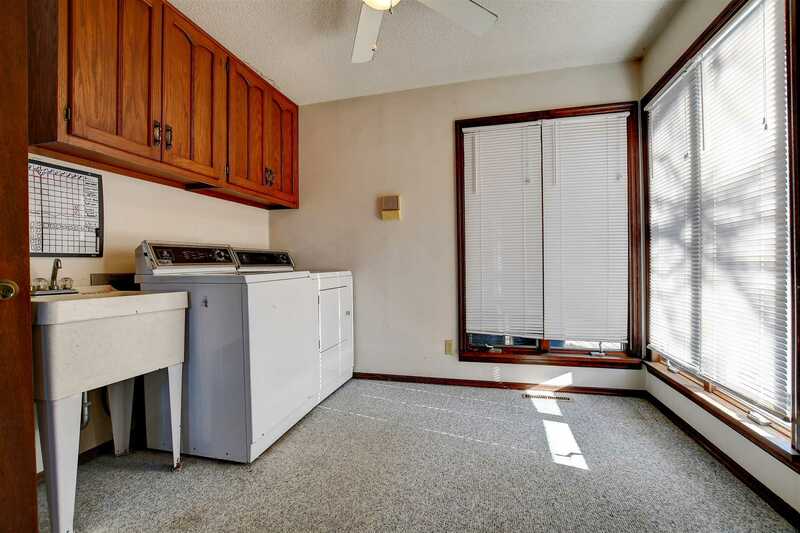 The eat in kitchen area has built in cabinets. 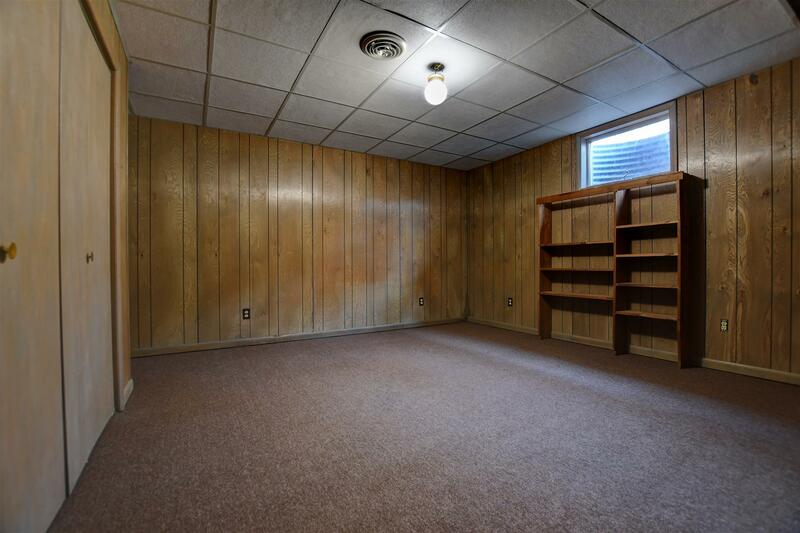 This space would make a great coffee bar or additional space for storing kitchen items. 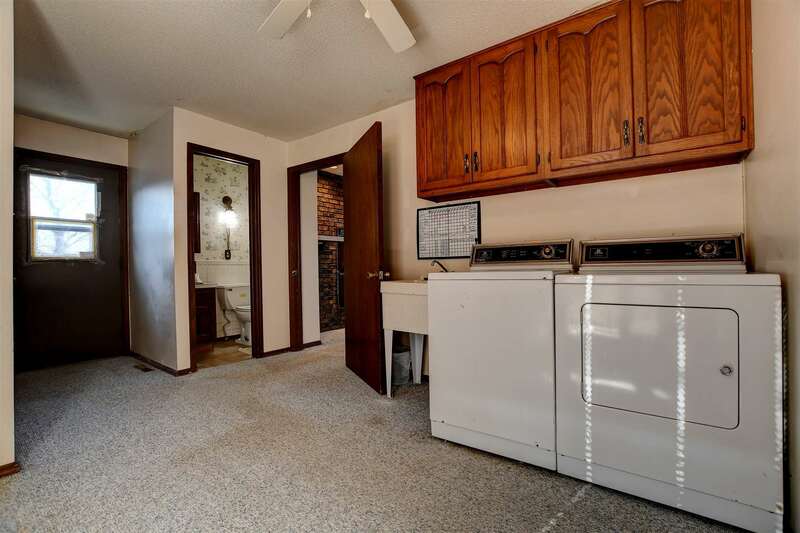 The large laundry area includes a wash sink and half bath. 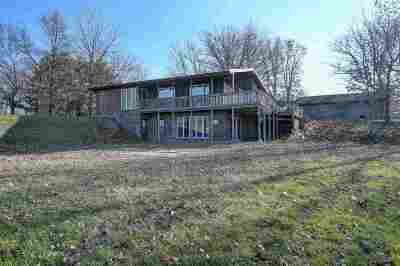 There is an entry to the deck, and other outdoor living areas. 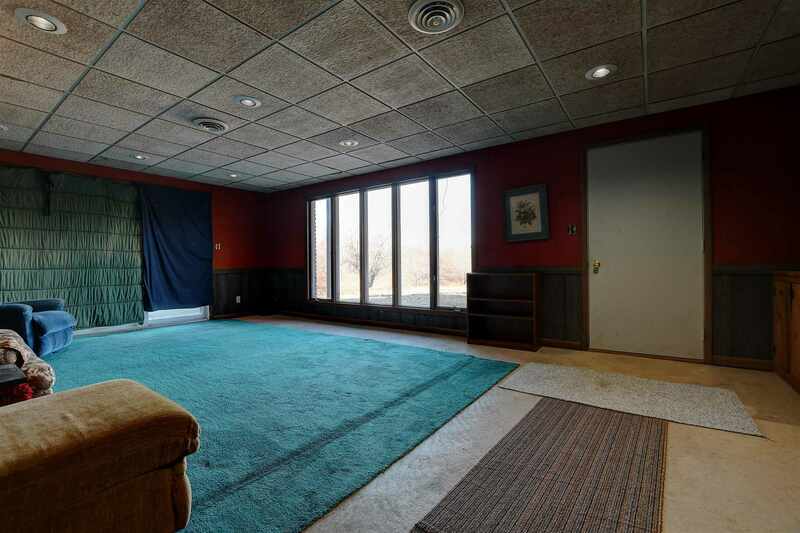 On the main level of this home you will find the large master bedroom and an additional bedroom. 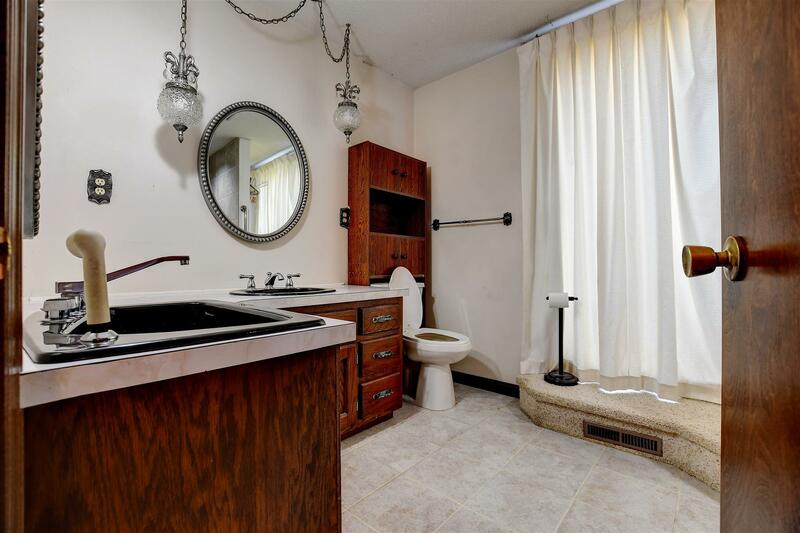 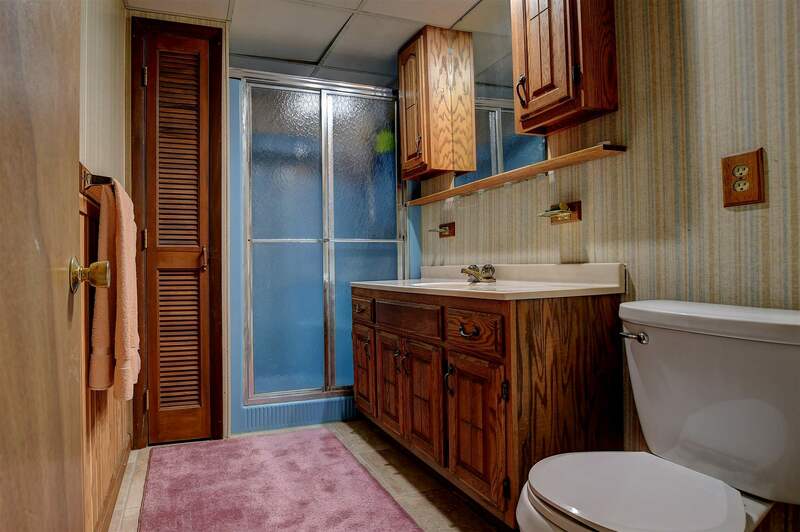 The full bathroom has a double vanity and tiled stand up shower. 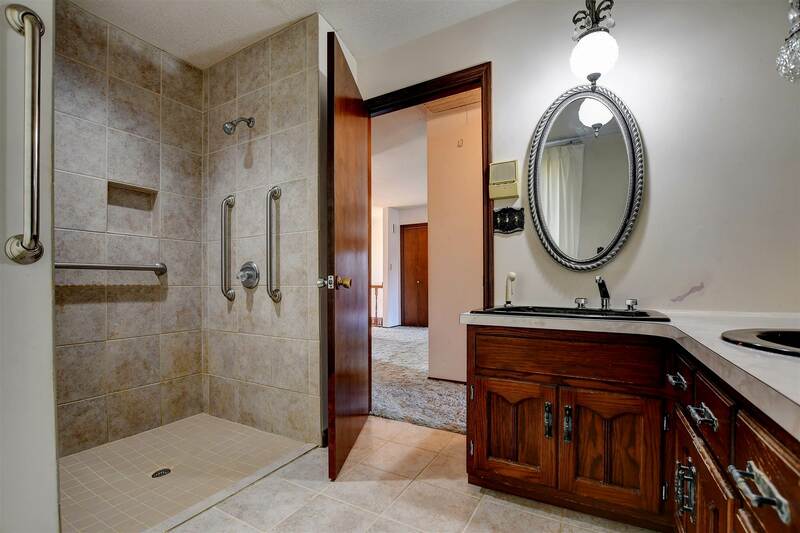 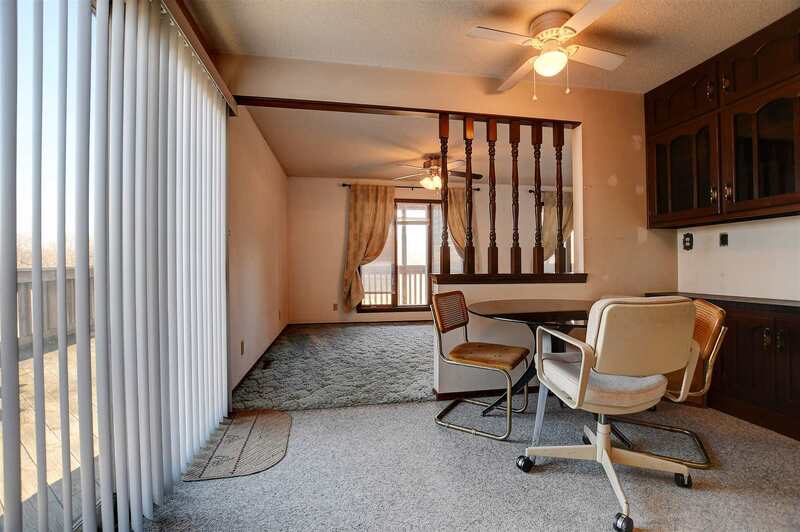 The other two bedrooms and full bathroom are located on the lower level. 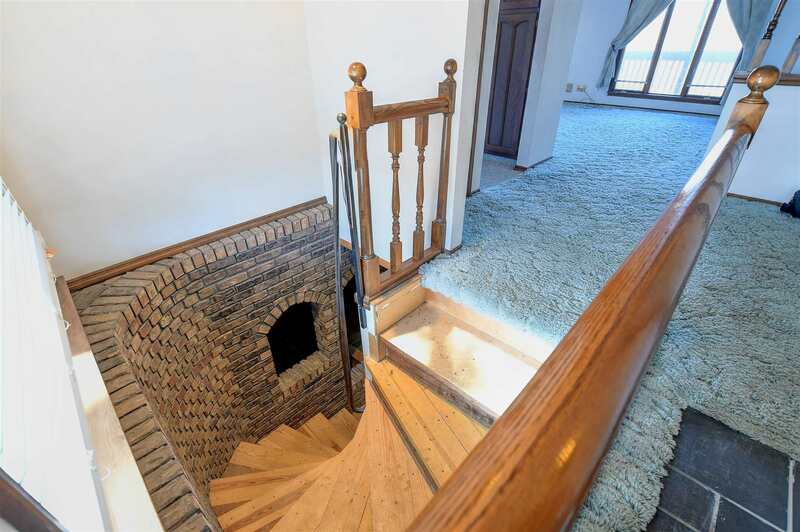 Walking down the brick staircase to the walkout basement is a large great room, and additional room for entertaining guest or just enjoying family. 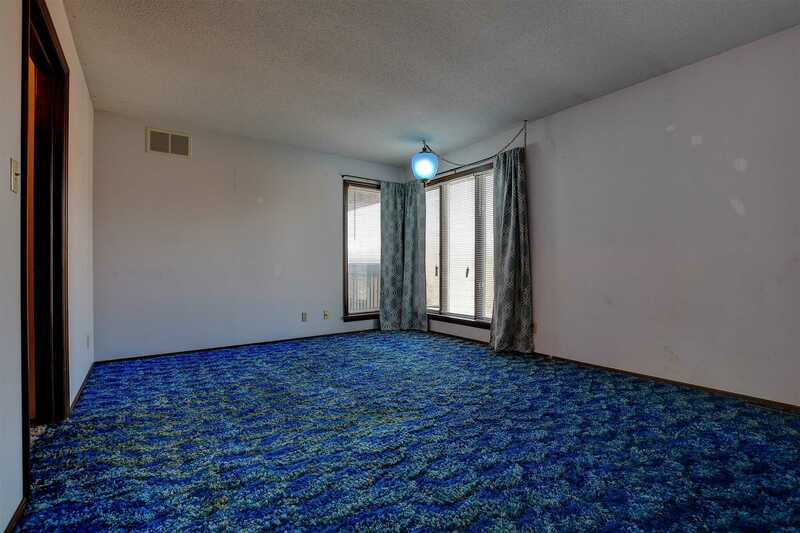 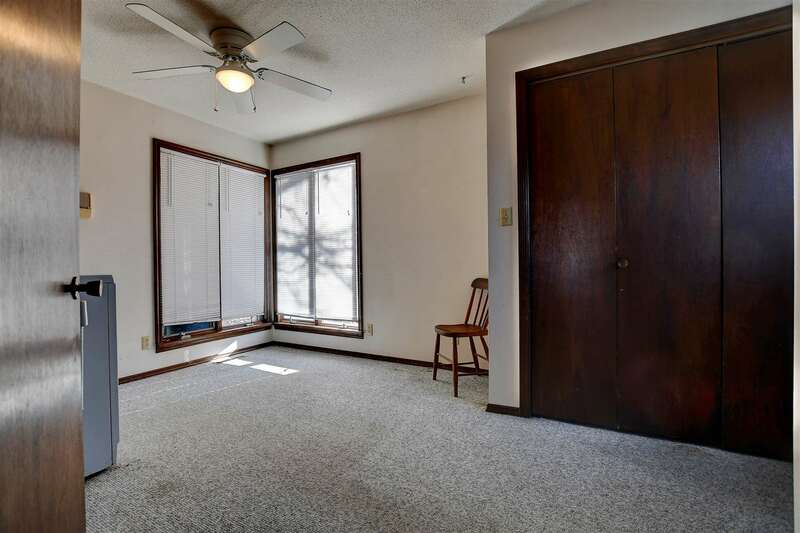 There are large windows in this space allowing for lots of natural light to shine through. 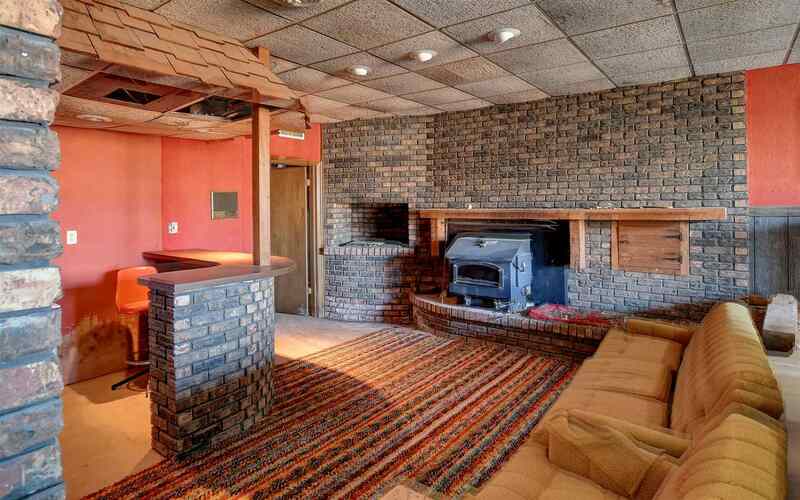 The additional room has a wood burning stove and brick accents. Basement has beams, brick and cedar walls, solid walnut mantel, and bar is plumbed for water. 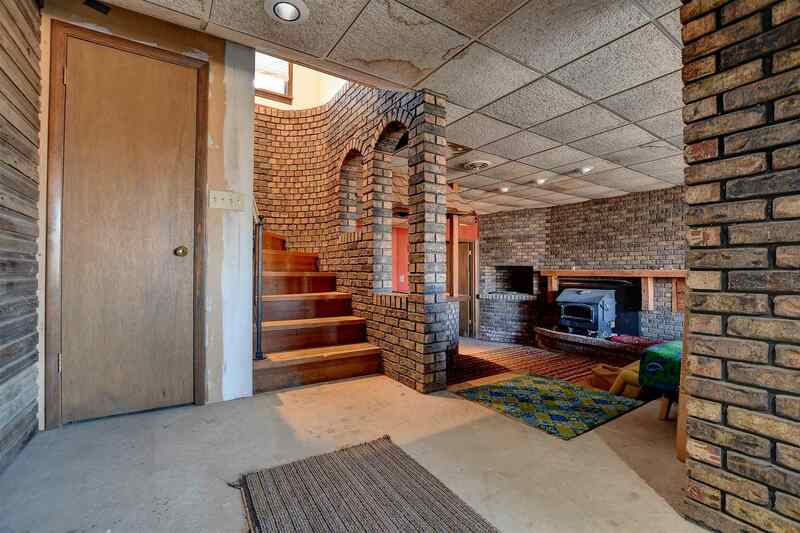 You will find brick not only on the exterior, but on the interior as well. 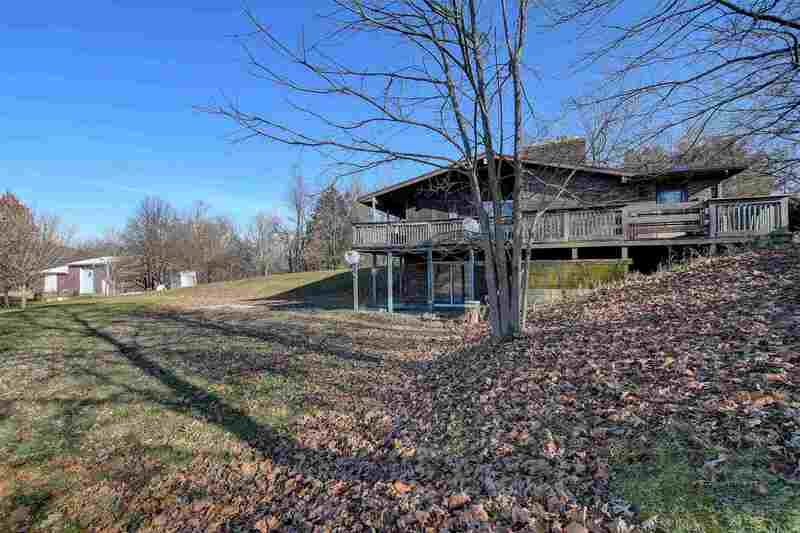 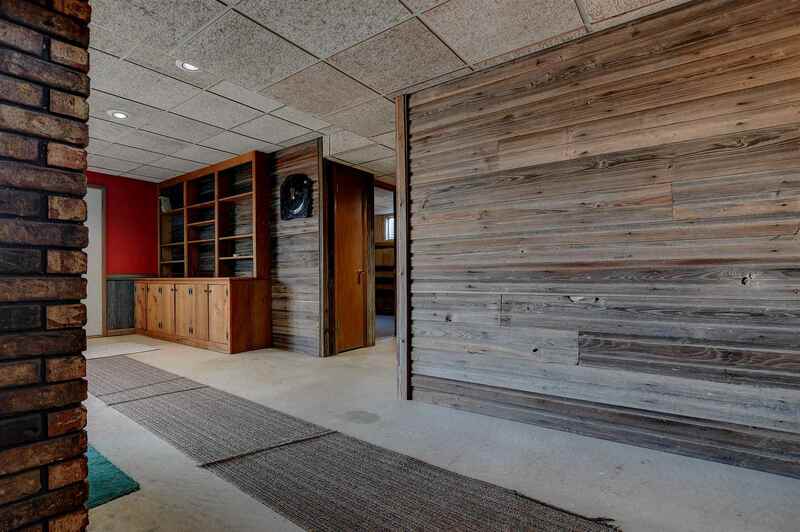 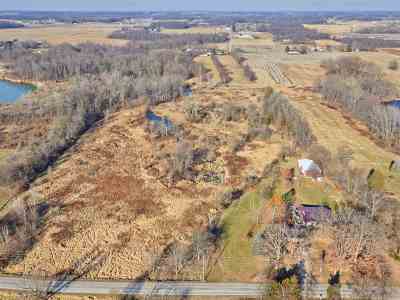 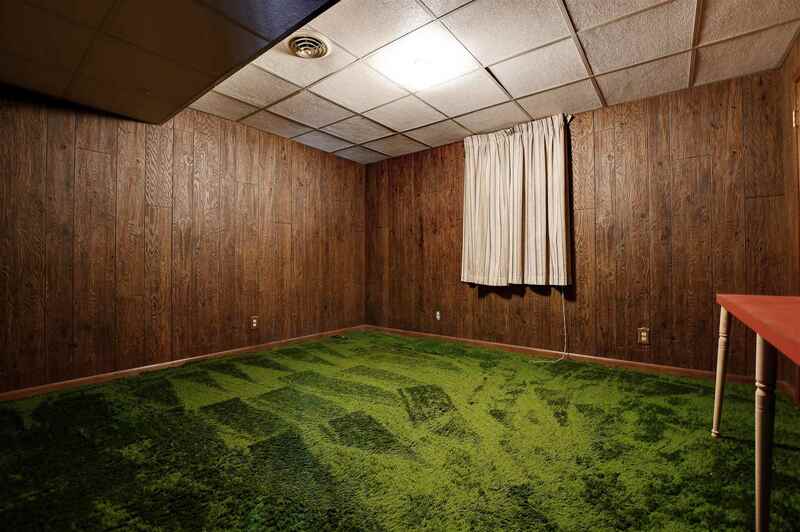 Walking out of the basement you will see a peaceful field and tree line in the distance. Scattered throughout this property are mature trees. 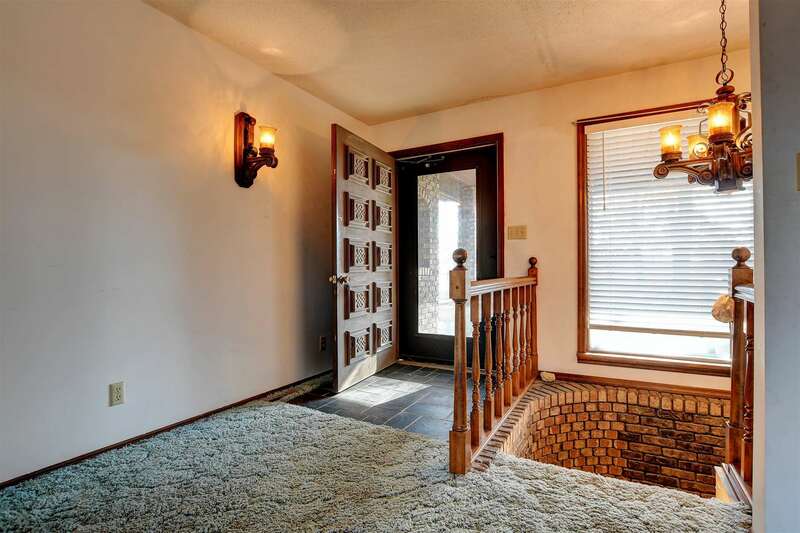 Also, on the exterior of this home you will find a fire pit to enjoy the cooler weather. 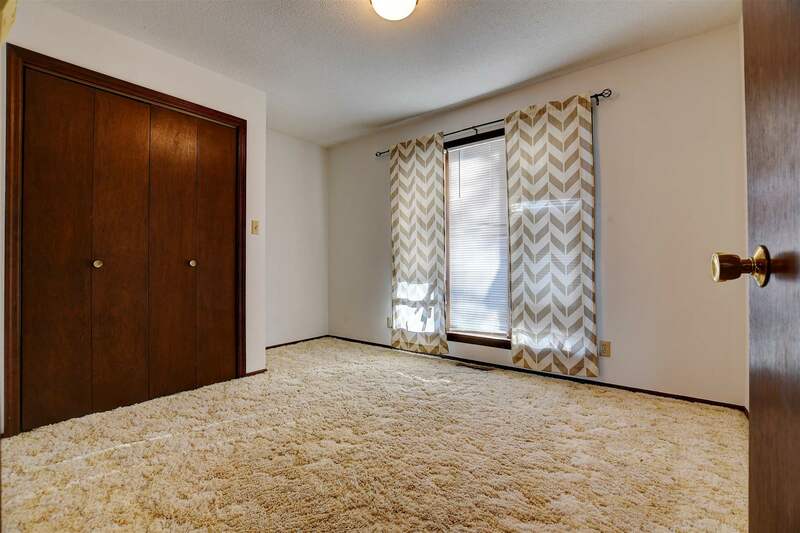 You don&apos;t want to miss taking a look at this property!